This twisty, breathless cat-and-mouse thrill ride, told in the second person, follows a girl with amnesia in present-day Los Angeles who is being pursued by mysterious and terrifying assailants. A girl wakes up on the train tracks, a subway car barreling down on her. With only minutes to react, she hunches down and the train speeds over her. She doesn’t remember her name, where she is, or how she got there. She has a tattoo on the inside of her right wrist of a blackbird inside a box, letters and numbers printed just below: FNV02198. There is only one thing she knows for sure: people are trying to kill her. On the run for her life, she tries to untangle who she is and what happened to the girl she used to be. Nothing and no one are what they appear to be. But the truth is more disturbing than she ever imagined. The Maze Runner series meets Code Name Verity, Blackbird is relentless and action-packed, filled with surprising twists. 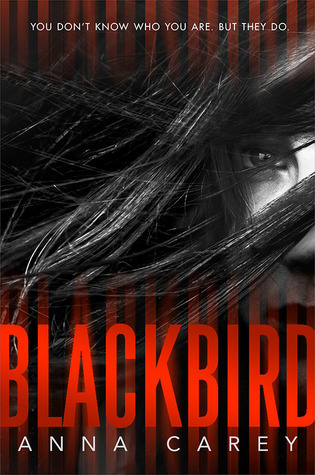 On June 3rd 2014 at 5:30 pm, I, Doris, read Blackbird and I can't even begin to express what I'm feeling right now. I'm unable to wrap my head around that ending. Not going to lie, it took me a few chapters to get into the writing style but after I did, it was easy sailing. Blackbird is not your typical story. It's my second time reading a book where I'm just as confused as the main character (Mara Dyer anyone), and trust me, that doesn't happen often. Yes it's one of those reads that keeps you guessing and questioning THE WHOLE 256 PAGES, yet I consumed each page like a drug addict. I don't know about you, but I would be freaking out to the max if I woke up with no memories, on train tracks, and then to have people intent on killing me. UHH I bow down to Sunny (since she doesn't remember anything she picks a name). Sunny is calm about everything, she rationalizes before she makes any type of move and I love that about her. Her strength is what surprised me the most, no once did she give in to those following her. I can't say much but know this BEWARE OF CLIFFHANGER! Anna you are a cruel, cruel woman. I still adore you but I NEED the sequel right this second!